Here we are one month into 2019, and all kinds of yearly photo challenge pop up. A 365 challenge – that is where you take 1 image every day and post it – is too much for me. And the Color Challenge I love, but never seem to be able to find enough time to get wonderful color images that I’d want to share. With my babies now into middle schools I don’t have sweet little baby feet to photograph all day long, nor do they want my camera in their face as much. SO I decided to share my top 9 images per month on my own 9 square grid. If you’d like to join, please let me know and I can share the psd file with you! 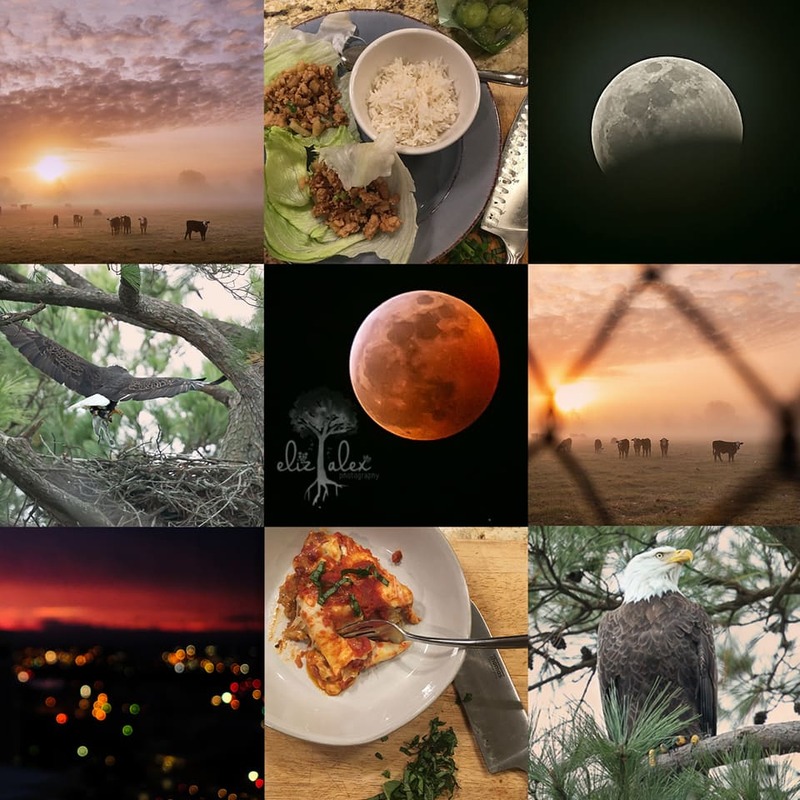 This January we had the Super Blood Wolf Moon, the Bald Eagle of The Woodlands, some cows on a foggy sunrise morning, and a few Food Network meals that I snapped with my iPhone! Enjoy!